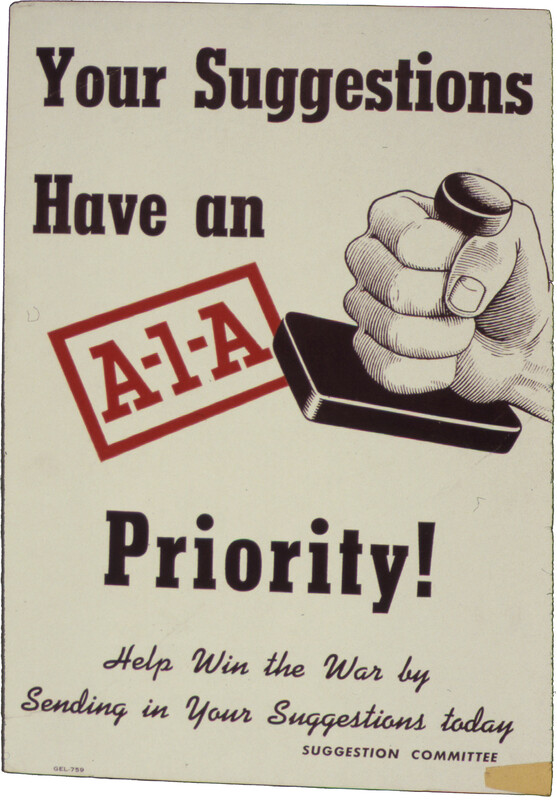 Poster by the USA during WW II Your Suggestions have an A-1-A Priority. File:Your Suggestions Have an A-1-A Priority^ - NARA - 534182.jpg by the Office for Emergency Management. War Production Board between circa 1942 and circa 1943, in public domain.